Before you start, if you wish to include personalization in your Office 365 email signature, i.e. different contact details for different users, you will need to add Active Directory Attributes to the design. These will be surrounded by percentage symbols e.g. %%Display Name%%. For a full list of AD Attributes, check out this TechNet article. Design your HTML or plain-text email signature template and save it to a text file. For tips on designing an email signature, check the Hints & Tips section of The Email Signature Handbook. Open a web browser and enter the URL https://portal.microsoftonline.com. 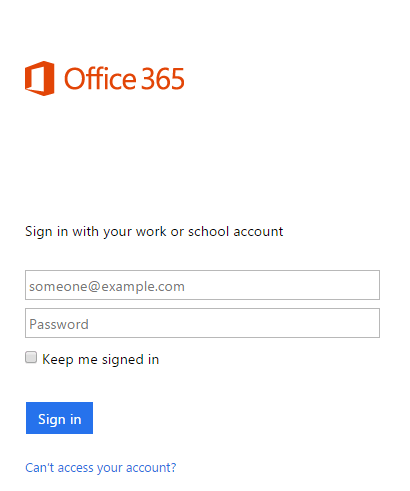 Enter the username and password for your organization’s Office 365 tenancy ID. From the Home screen menu, click the icon on the top left of the screen and then Admin from the menu that appears. You’ll be presented with the Office 365 admin center home screen. In the bottom left of the screen, scroll down to ADMIN and click on the Exchange option. 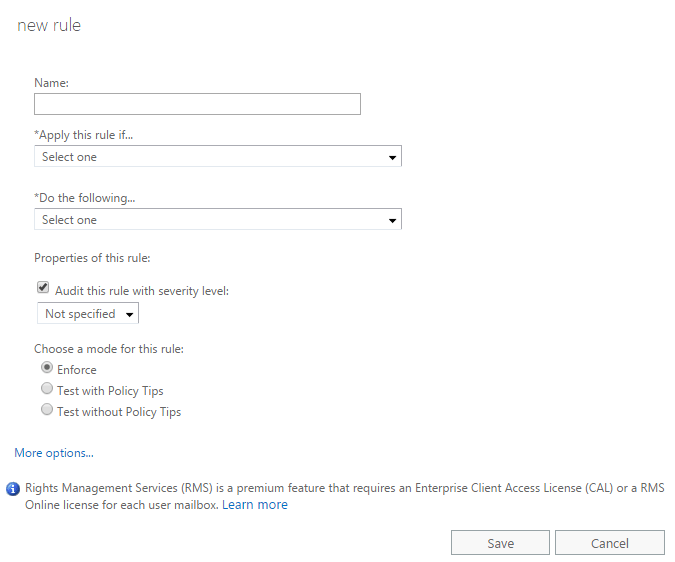 Once you are in the Exchange admin center, the left-hand pane lists the main admin options. 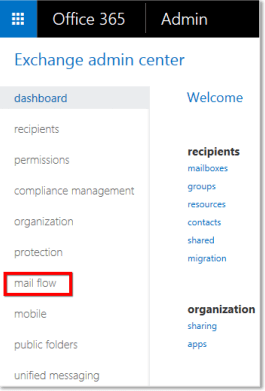 Click on mail flow on the left-hand pane. You will now arrive at the mail flow page, with a row of options along the top. From the tab list, click on rules. 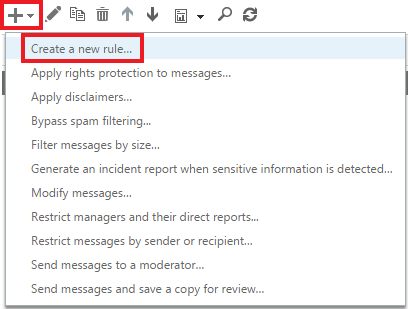 Click the Add (+) icon and select Create a new rule… You can click ‘Apply disclaimers…’ but this means you will have to use one of the suggested Office 365 templates. A separate lightbox window will open. Give your email signature a name that you will easily remember. As not all of the signature options are displayed, click More options at the bottom of the window. In the *Apply this rule if… section, select your desired conditions. For example, you could set it so that the sender is located inside your organization or is a member of a certain group like the marketing department. Under the *Do the following… section, select Apply a disclaimer to the message… and select append a disclaimer. The prepend a disclaimer option will put the signature before the email message, so don’t choose this. Click on the Enter text… hyperlink. 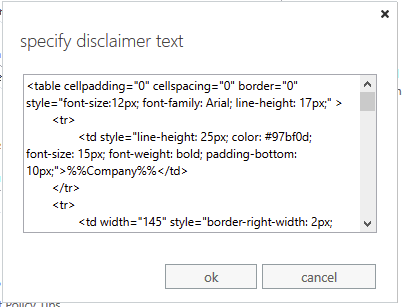 This will open a new lightbox window called specify disclaimer text. 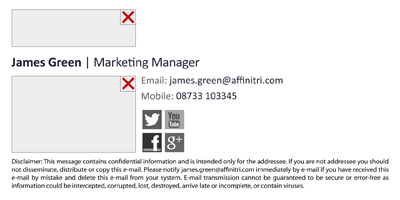 Copy and paste the plain-text or HTML of your email signature design into the text box. Wrap - this causes the message to be enclosed in a new email envelope. The signature is then added to the new message. Ignore - send the email without the signature. This is the safest option to choose. Reject - don’t send the email. The sender would receive an NDR saying that the message could be delivered. If needed, you can add an exception to your email signature. 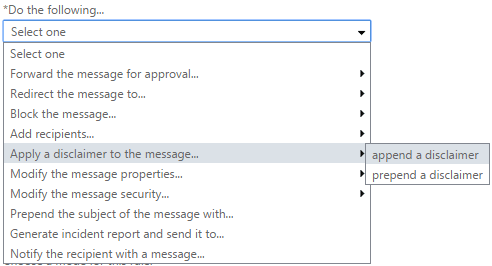 You could set it so that the signature is not added to any email that is sent to a user within your organization as an example. Once you’re happy with everything, click Save. Your new Office 365 email signature has now been created. Note: You’ll want to send yourself a test email just to see how the signature looks and if behaves in the way you expect it to. Want to make this process simpler? 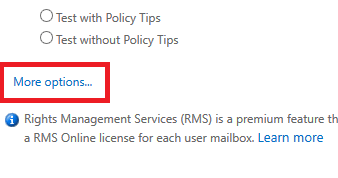 Creating email signatures in Office 365 does have restrictions, which are detailed in this article. Signatures won't appear directly under each reply or latest forwarded email. No HTML email signatures on mobiles or Macs. Embedded images appearing as attachments. Blank spaces in certain users' contact details. Needing lots of Transport Rules for different departmental signatures. Being unable to test different signature designs. Getting users to use uniform signature templates. If you want to create, manage, update and control Office 365 email signatures easily, be it for one user, a department or a whole organization, you’ll find there is no better way than with Exclaimer Cloud – Signatures for Office 365.